Aiming to gain a larger market share in the segment for smartphones with larger-sized screens, Apple Inc., an American multinational technology company that designs, develops, and sells consumer electronics, has decided to shift part of its order for iPhone 8 Plus to Wistron Corp., a major ICT (information and communication technology) products manufacturer in Taiwan, so as to give relief to Hon Hai Precision Industry Co., Ltd., the world's largest EMS (electronic manufacturing service) provider by size, to fulfill tremendous demands for iPhone X.
Ming-Chi Kuo, an analyst for KGI Securities, a financial services group in the Asia-Pacific region, noted that iPhone 8 lacks truly attractive features, while a price gap between the model and iPhone 8 Plus, or iPhone X, is not as large as expected; hence, it is not surprising that consumers tend to prefer the newer models. 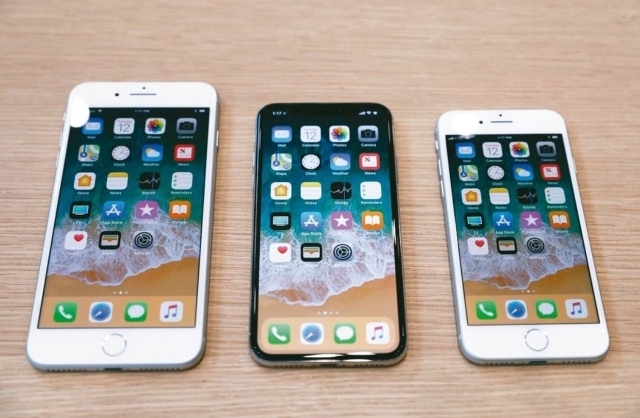 According to the abovementioned factors, Kuo forecasted that output of iPhone 8 will decrease by 50-60 percent, and that of iPhone 8 Plus and iPhone X, in contrast, will increase. Also notable is that iPhone 8 Plus will replace iPhone 8 as a new growth propeller for revenues by Hon Hai and Wistron. Kuo thinks that Wistron's estimated output volume of iPhone 8 Plus in the first season of next year will skyrocket by 80 percent; and some of suppliers of the smartphone's key components are expected to see higher-than-expected revenues. On another front, Pegatron Corporation, a Taiwanese electronics manufacturing company and a major iPhone 8 OEM maker, is likely to experience a slump in its capacity utilization due to lackluster sales of iPhone 8. But market observers still hold optimism about the firm's performance during the second half of next year since Apple will add more new features to its future smartphones. Based on Apple's financial reports and sales figures published on the company's official website, market observers generally project that Hon Hai's production volume of iPhone X will likely increase by 14.2 -20 percent compared to original figures they forecast earlier.